Has anyone ever tried the Wolff recoil springs? Hopefully they are a viable replacement. Thank you for the above link which jogged my memory. I knew there was some reason I went with the shorter white P229 spring vs. the longer silver P228 spring. Attached is a photo of the package from the new SIG factory P228 springs I recently received from MGW. 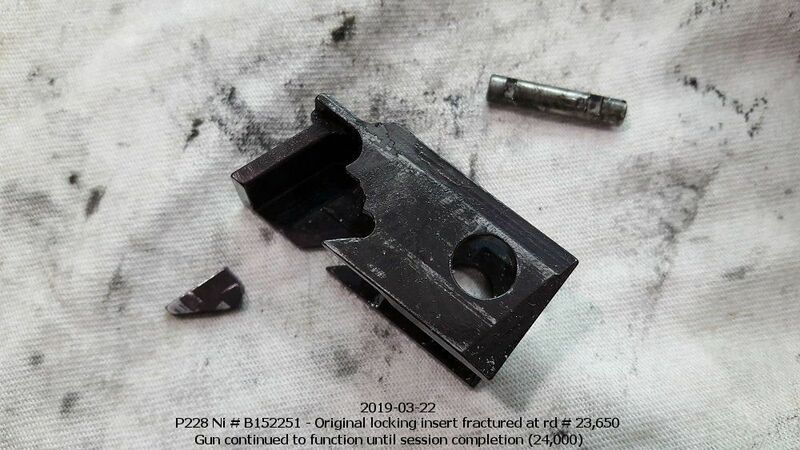 (Please note SIG also lists this as the correct spring for the P225.) I just installed one of these in my P228 and am not experiencing the "crunching" referenced in the above linked post. I've never used wolff recoil springs, but I know Bruce Gray developed his "fat guide rod" for use with aftermarket recoil springs. Wolff springs are single wire and could get hung up in the slides recoil rod hole. 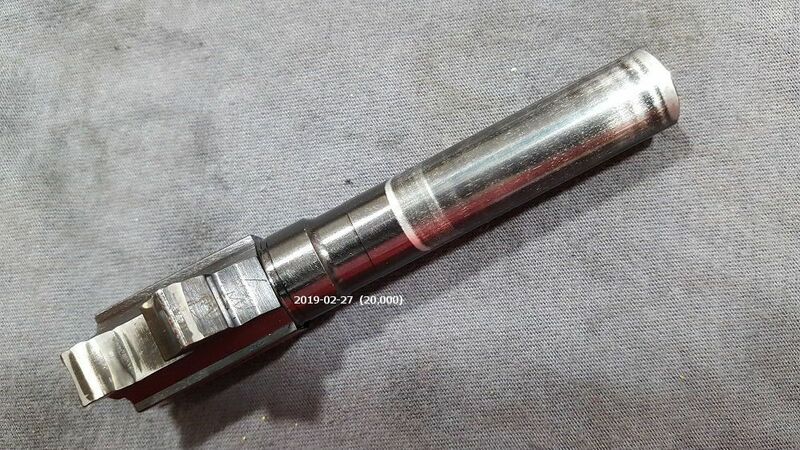 I think there used to be a picture a stuck recoil spring on Gray Guns website. The fat guide rod would be cheap insurance if your running aftermarket recoil springs. I've seen a pinned breechblock SIG lose the inner pin and the MX guide I have seen says 5K to ensure it is pinned in place properly to reduce movement that may translate greater stress to the frame. I am finding out some weird stuff lately about several other recoil springs. when comparing the new white spring to the factory original spring in my 1990s vintage P229 in 357sig, they look way different. 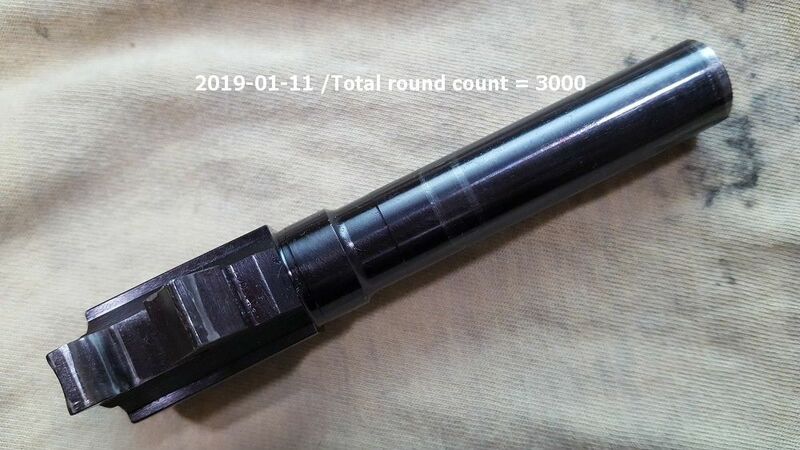 obviously part of the reason is due to the caliber difference, but the factory 357 spring is much longer with noticeably more spacing between the coils. they technically shouldn't be that different. 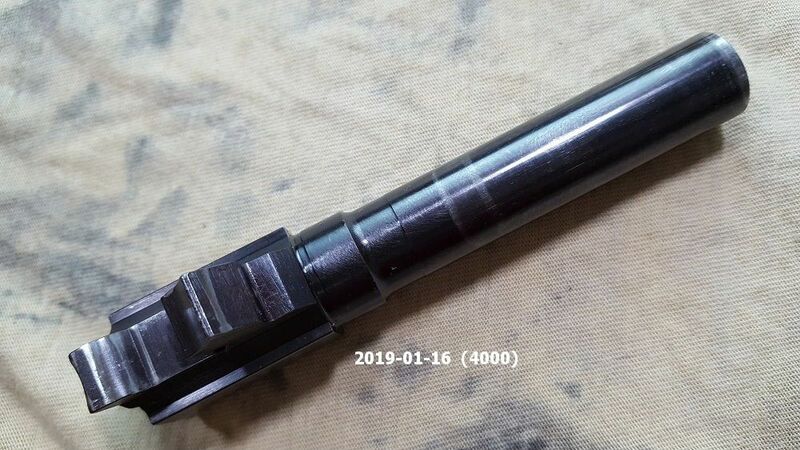 I am now interested to buy a new 40/357 spring (blue paint), to see how they compare. I like the idea of Wolff as an alternative, but the questions then becomes, which Wolff, since they have several of different strengths. 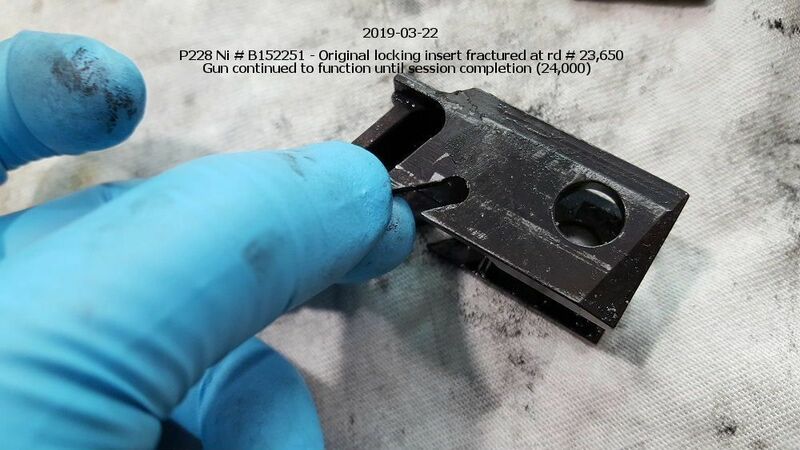 regarding the cracked frame from page 6.... Would a steel frame be more rugged in this regard, or would steel have suffered the same fate just as easily as the standard P228 alloy frame? A steel frame would have likely been more rugged as you say, but certainly not indestructible by any means. Quite impressive Q! Thanks for sharing that. Great stuff man. The picture on page 4 of the bottom of the barrel at 20,000 rds, is there a dent in the left side of the locking lug ? Yes it'seems that a little piece of metal has cracked. 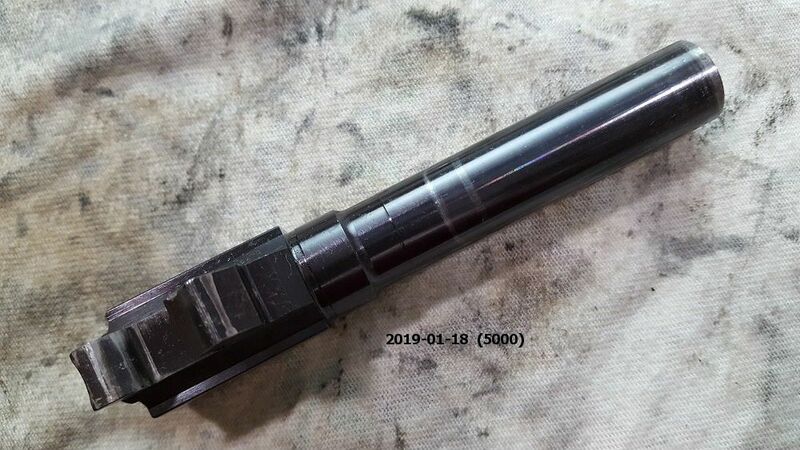 Perhaps the barrel has damaged the locking block. Yes, there is. I went back and reviewed all the pics that I took, and the chipping away of the metal has been there much earlier, but was less pronounced. And, I've been racking my brain trying to figure out what could have done that. When I pieced things together and tried to see, there is nothing that comes into contact with that part. At least, nothing when the gun is static. But, clearly, during firing, something has been chipping away at that area, as evidenced by the pics. And, eventually, the stress led to the >fracture of the the locking insert's tooth<? Very interesting. Anyone else have a high round count Sig to see it wear in that area is common? Q, what does the bore look like after all those rounds? When buying used some people like to have a pic of the rifling. 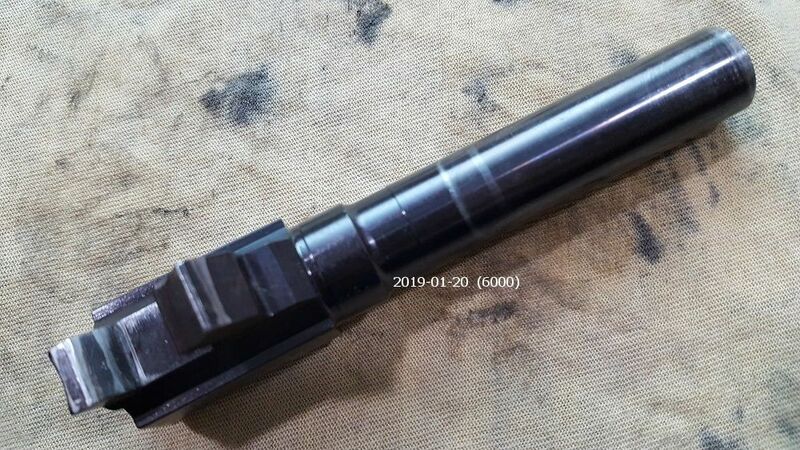 Perhaps a few good pics of the locking part of the barrel would tell a better story. I'll post pics of the 25k bore, next to a brand new P228 barrel, when I get a chance. Of all the tons of pics I took, I didn't take any of the bore at intervals. Now, onto another subject that I've been wondering about, for those that shoot a lot and a lot. Looking at my schedule of shooting and the amount shot during this time, do you think that was excessive? Just a couple of examples, 4000 rds in 4 straight days (2/19 - 2/22), 5000 rds in 5 straight days (3/19 - 3/23). And, a thousand rds typically lasted about 40 minutes of continuous shooting. Could this also have contributed to weakening of the frame? I've never shot like this before, so I don't know. If I were a bet on what caused the rail failure it would be not replacing the breech block roll pins. 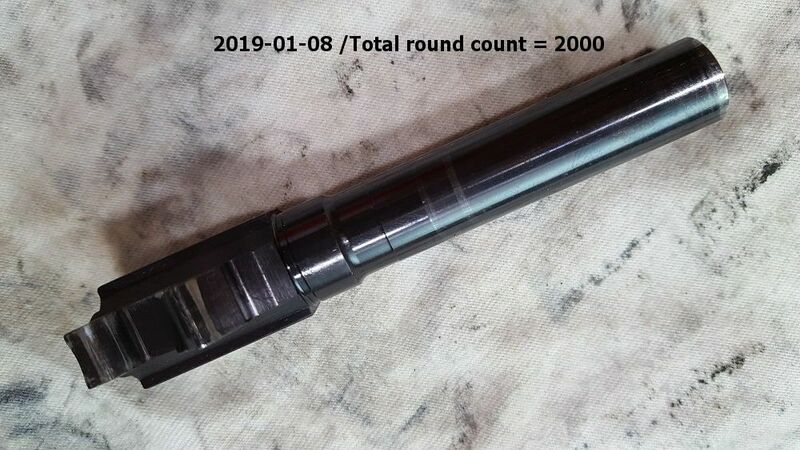 I had a German 226 rail crack at around 9,200 rounds on the same set of roll pins. The recoil spring was changed every 3,000-4,000 rounds. This is a well known issue. 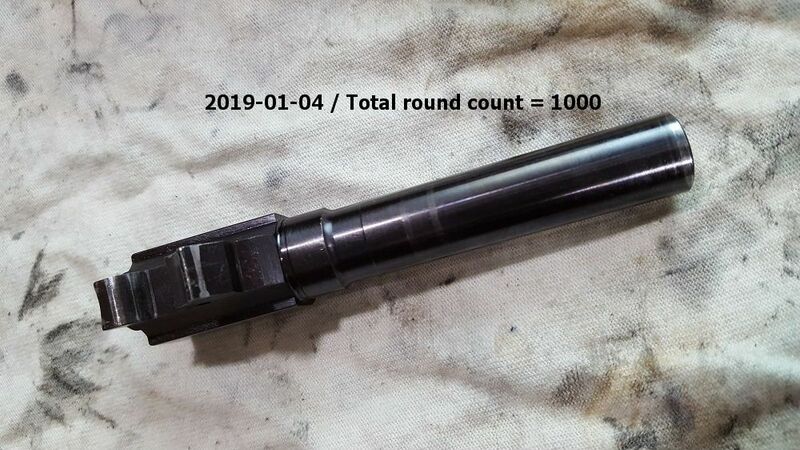 There are a lot of quality threads at pistol forum regarding Sig durability, slide velocity, small parts quality, maintenance and more. The late Todd Green contributed so much valuable information from his time at Sig and his experience with Sig pistols. I will dig up the links and send you an email. 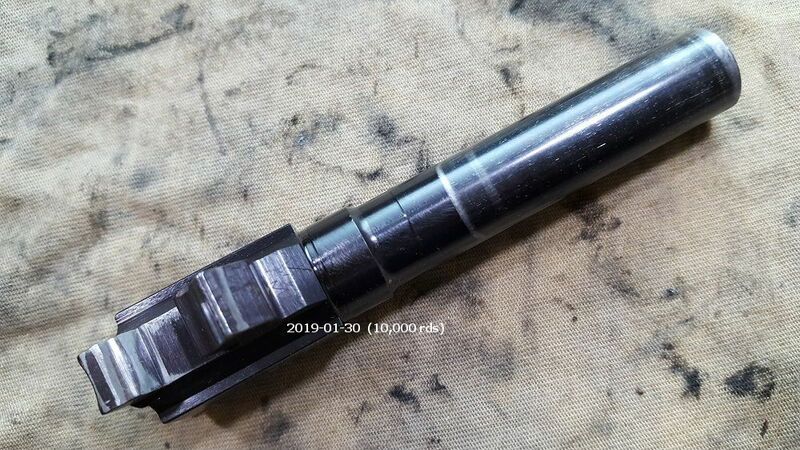 Todd also stressed that the roll pins needed to be replaced at every 5k or you will see the breech block and/or rails break. Thanks for this. While I don't doubt his expertise about the factors contributing to failure, my suspicion is that the extreme shooting might also have been a factor. Do you know of anyone who has shot similarly, and what was the outcome? I seriously am curious. I have no intention of ever shooting like this again. It was a very fun experience, but quite exhausting at the same time. Speaking of the Breech Block Roll Pins, are these still made, and if you were to buy some today, does anyone have a part # and supplier? Todd averaged 350-550 rounds per hour through his P30 test gun before it broke at over 90,000 rounds. HK concluded it was heat that caused the frame damage. Does this apply to an aluminum framed Sig? I have no idea. Did you ever see the Remington Arms ads for their Nylon 66 semi auto .22 rifle ? I'll bet you did as a kid Q. He shot over 100,000 wood blocks thrown up in the air. That lil .22 still shoots today. Tom Frye was his name. I remember one competition shooter fireing 500,000 rounds of .38 Special through a custom S&W revolver in preperation for the Bianchi Cup. His practice paid off as he won.